Stories like Donna’s are all too common and highlight some of the most heartbreaking ways that the American Immigration system fails families. Politicians on both sides of the isle have long decried our inadequate immigration policies. For liberals, the current system is outdated and fails to address and serve America’s changing demographics. For conservatives, the system is already too permissive and presents a threat to national security. 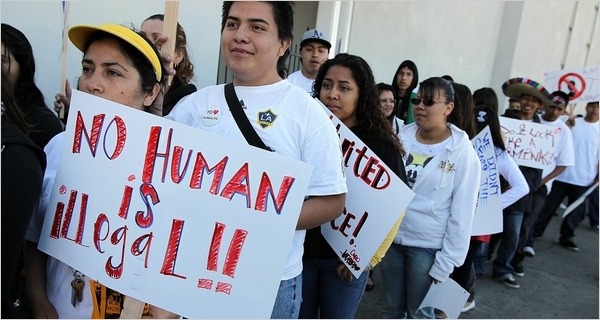 Much of the recent media coverage has centered on whether undocumented immigrants who currently live in the United States should be allowed a path to citizenship while remaining in the U.S. or should be required to return to their country of origin before becoming eligible to apply for citizenship. These characterizations are oversimplifications of the realities of immigrant families. Many immigrant families are comprised parents and children with various immigration statues. As Donna’s story illustrates, when a parent is forcibly removed from a family, the entire family suffers the effects of the separation. Research suggests that a parent’s detention or deportation can disrupt a child’s sense of security and potentially cause irrevocable emotional and psychological damage. At Maternity Care Coalition we are steadfastly dedicated to serving the families with the highest need. We envision a world in which all families and individuals have access to affordable healthcare, are economically self-sufficient and children thrive. MCC will continue to advocate for immigrant families by ensuring they are connected to integrated services and aware of their rights. We will also continue to educate the MCC Community about the need for a comprehensive and compassionate approach to immigration reform.